TeamTalk Limited (NZX: TTK), the publicly listed telecommunications services provider today announced the successful completion of its underwritten 1 for 3 pro-rata renounceable rights offer announced on 23 October, with strong shareholder support. Approximately 8.4 million new shares were taken up by shareholders, representing approximately 81% of the new shares available under the rights offer. This represents gross proceeds of approximately $5.4 million. In accordance with the terms of the underwriting agreement between TeamTalk and Forsyth Barr Group Limited it is agreed the remaining portion of approximately 1.9 million new shares not taken up under the rights offer will be allotted to the underwriter or its sub-underwriters. Together with the earlier equity placement of $2 million to institutional investors and high net-worth individuals, TeamTalk has successfully raised $8.7 million of new capital. New shares taken up under the rights offer are expected to be allotted and begin trading on 27 November 2018. The rollout of TeamTalk’s new digital radio network, due to be completed by June 2019, which will enable a wider range of services to be provided and grow TeamTalk’s addressable market by targeting customers in the conventional radio network. TeamTalk’s Chief Executive Andrew Miller said: “The shareholder’s overwhelming support for this rights issue validates the company’s forward strategy and is very much appreciated. The new capital enables the company to fund its new digital network ensuring continuity in delivering mission-critical communications and creating additional value for both existing and new customers. The new network will also enable integration with other communications networks as well as offering new services and solutions. “This will not only underpin our existing radio business but enable TeamTalk to grow its revenues and improve our margins by reaching into the conventional radio market, an area that TeamTalk has traditionally not competed in. “Changes within the Health and Safety legislation along with the findings from the reviews following the Christchurch and Kaikoura earthquakes mean many organisations are now considering diversity across their communications portfolio and mobile radio is critical in providing this service. 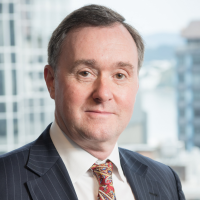 “The other area of investment to be completed by June 2020 is around our Wired Networks which provide broadband connectivity and ancillary related services to a range of wholesale customers and end users in the Wellington and Auckland CBDs. “The investments TeamTalk are making are substantial and will both improve our existing infrastructure and enable us to offer new services and products to our customers. This will result in sustainable profitable growth and better returns for our shareholders,” Andrew Miller said. Original generation time 1.3699 seconds. Cache Loaded in: 0.0210 seconds.